As the poem which immortalized Paul Revere tells it, there was nobody on his midnight ride but him and his horse. 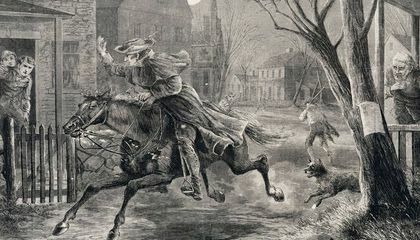 The ride went like this, according to The Paul Revere House: Revere was asked by patriot Joseph Warren to take news to Lexington that British troops were on the march. “According to Warren, these troops planned to arrest Samuel Adams and John Hancock, who were staying at a house in Lexington, and probably continue to the town of Concord, to capture or destroy military stores—gunpowder, ammunition and several cannon—that had been stockpiled there.” Revere sneaked across the river and borrowed a horse in Charlestown, and headed to Lexington to let everyone know that, yes, the British were coming—though he never actually used that phrase. On the way to Lexington, as Revere himself later said, he dodged British troops who were on horseback. In Lexington, while he was eating and drinking in preparation for another grueling ride through the dark to Concord, William Dawes showed up, carrying the same news. Dawes had come over land, down the narrow spit that at that time connected Boston to the mainland. “Unlike Revere, who awoke town leaders and militia commanders along the way to share his news, Dawes apparently let them sleep, either because he was singularly focused on getting to Lexington as quickly as possible or because he wasn’t as well-connected with the patriots in the countryside,” writes Christopher Klein for History.com. The two men set out together for Concord and on the road, they bumped into Samuel Prescott, a young doctor who was headed back home to Concord after a visit to his fiancée. Prescott offered to help carry the news. It was dark and probably cold, the countryside was crawling with British troops who were looking to stop patriots from spreading news. Prescott and Dawes stopped to wake people up at a house along the way, while Revere pushed on. Revere saw two British officers and warned Prescott and Dawes, but was himself captured. So of the three, only Prescott finished the midnight ride. The next day was the Battle of Lexington, widely viewed as the start of the American Revolution. Why does Revere get all the credit in a poem that schoolchildren were for years forced to memorize? According to historian Marie Basile McDaniel, it’s possible that Revere got sole billing in the poem because he was so politically active—already better known, when he set out, than either of the other men. Both Dawes and Prescott faded into obscurity, while Revere continued to be a well-known figure until his death at age 76. 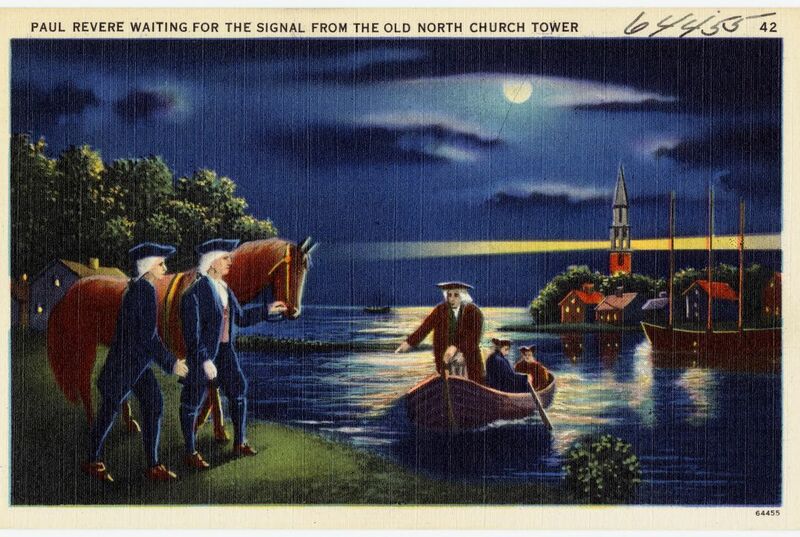 Why do you think we are more familiar with Paul Revere than the other men who made the famous midnight ride? I did not know that Paul Revere was not the only person that went on the ride he should not get all the credit because he was helped by Prescot and Dawnes helped so they should get credit. The situation is like Neil Armstrong and he only got the credit ,but Buzz Aldrin and Micheal Collins didn't get lots of credit we learn about Neil Armstrong more. Why was Paul Revere alone on his ride. It would have been way easier to go with a partner. If he had a partner it would have gone a lot faster.